A recent study on silk particles was conducted using Inverse Gas Chromatography-Surface Energy Analyzer. iGC-SEA is a proven system which is suitable for measuring chemical and surface property changes which occur due to chemical processing and powder fabrication. SEA was used to obtain results that correlated with the cohesiveness and the flow behaviours of silk powder samples. Among the properties measured by iGC-SEA are the surface energy components (dispersive and acid-base) and BET Surface Areas. The BET Surface Areas were measured and determined using octane sorption isotherms while the profiles and the distributions of the surface energy components were also determined directly and automatically using a combination of dispersive and polar probe molecules. In addition, the Lewis acid/base properties of the silk samples were calculated by the Gutmann approach and polar solvents with different functional groups. The study was in collaboration with the Australian Future Fibres, Research and Innovation Centre, Institute for Frontier Materials, Deakin University, Waurn Ponds and Surface Measurement Systems Ltd.
Inverse gas chromatography and powder rheology were utilized to characterize silk particles. Dispersive surface energy component dominates in all silk materials tested. 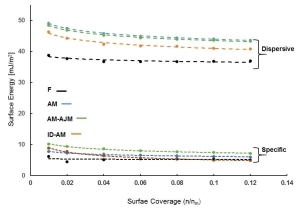 Surface of all silk materials tested have higher basic contribution compared to acid contribution. 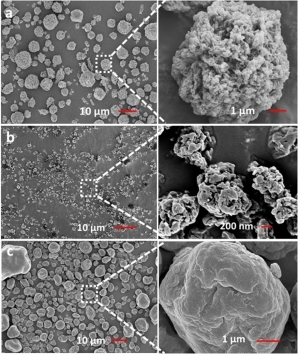 Flowability of ultrafine particles changes depending on the state of consolidation. Hydrolysis of silk changes morphology, surface energy and flow properties. Rangam Rajkhowa, Abdullah Kafi, Qi Tony Zhou, Anett Kondor, David A.V. 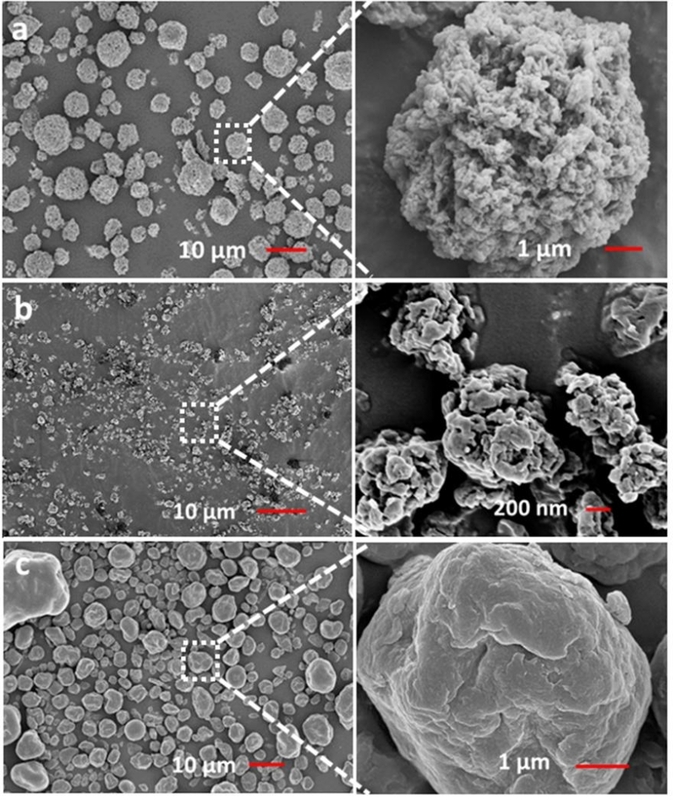 Morton, Xungai Wang; “Relationship between processing, surface energy and bulk properties of ultrafine silk particles”, Powder Technology, Science Direct, DOI: POWTECH D-14-01119R1 (October 2014).